Here are instrumentals to fulfill the needs of churches that desire to play recorded music for their Preludes, Offertories and Postludes. 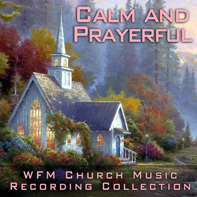 Calm and Prayerful – perhaps just a perfect way to start your Sunday morning service. We’ll let you decide.